International Society for Civil Liberties & the Rule of Law (Intersociety) today alleged that no fewer than 150 pro Biafra activists and other defenseless members of the public were killed by the Nigerian Army; with 70% of the deaths arising from Afara-Ukwu massacre. According to the group, in the Afara-Ukwu massacre of 14thSeptember 2017, no fewer than 105 deaths were recorded. In a statement, Intersociety’s Board Chairman , Emeka Umeagbalasi, no fewer than 20 deaths were also recorded at Isiala-Ngwa Army Checkpoint, while 25 others occurred in Aba. Umeagbalasi noted that the Army massacre operation in Afara-Ukwu; which commenced around 3.26pm of 14th September 2017, resulting in the death of not less than 105 citizens, was executed in less than three hours during which no fewer than 70 others were shot and injured. “As it has become the atrocious practice of the Nigerian Army military since mid 2015, approximately 80% of the bodies of those shot and killed in Afara-Ukwu, Isiala-Ngwa and Aba were taken away and dumped in undisclosed locations till date. For instance, days after the Afara-Ukwu massacre, corpses numbering eight were found inside a bush at a location in Umuahia. “Technically suggesting that they were arrested alive and later taken inside the bush where they were executed en masse; possibly after being forced by soldiers to bury their slain colleagues at blue law hours. He averred that the corpses possibly buried under duress by their latter-slain colleagues must have been those picked by soldiers at the scene of the Afara-Ukwu massacre; after which the eight executed citizens were commanded while alive to evacuate them to designated hidden locations inside the bush and in late night hours. He also stated that the eight executed victims may most likely have been shot dead on the spot so as to cover up and erase traces. “Our long investigation covered forensic or expert interviews and documentations of survivors, field investigation assistants, relatives of the slain and other key witnesses. Some of the verified facts of those interviewed are deposed before various High Courts of Justice in Nigeria as affidavits of facts. Some photos of the slain members were also taken from morgues where they were deposited. “The army torture video taken at Isiala-Ngwa Army Checkpoint was re-studied and two corpses of those killed at the scene and dumped by the roadside clearly shown in the video were traced and identified. One of them, Ifeanyichukwu (Ifechukwu) Agbayisi was later in the day of 12th September 2017 dumped at King OO Jerry Mortuary, Isiala-Ngwa, from where he was retrieved by his family and later buried in his hometown in Anambra State on 19th October 2017. “As at date, we have identified and investigated 19 names of the Army Abia massacre; out of which bodies of 16 of them have been interred by the families with remaining three being among 120 others taken away by soldiers till date. 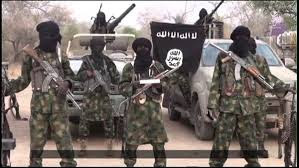 “More names are being compiled and awaited by Intersociety and other concerned rights groups within and outside Nigeria. Fears of military and other security reprisals including late night raids and arrests have also forced many families of the slain victims to refuse to publicly declare their beloved ones as “missing persons” since 2015. “For instance, out of 450 slain pro Biafra activists killed since August 2015; derived from witnesses’ accounts, we have been able to identify at least 100 names. More details including statistics and other public friendly information in connection with Army Python Dance II massacre in Abia will be featured in the second part of this technical report to be released in few coming days. “Therefore, it is fact that till date, most Nigerians and members of the int’l community are not aware or bereft of detailed statistics on what actually transpired in Abia State in September 2017 during the so called “Nigerian Army Python Dance II”. “It is an incontrovertible fact that the massacre operation was deceptively launched in the Southeast but it was solely targeted at Abia State on account of nonviolent activities of some leading pro Biafra movements including Biafra Indigenous People and its leader, Mr. Nnamdi Kanu. Appeared to be a presidential death warrant against the target population or kill the pigs operation; the Nigerian Army hurriedly disguised it as army python dance 11 as a cover or to mechanically legitimize it. Analytically speaking, it was most likely the intelligence sent to the Defense Headquarters on shocking casualty figures arising from the Afaraukwu massacre or at Nnamdi Kanu’s home that forced the Defense Headquarters to hurriedly declare retroactively and unconstitutionally the victims and their group as a “terror group designate” on 15th September 2017; culminating into formal declaration of same as terror group two days later by President Muhammadu Buhari. It is most likely correct that Mr. President was fully briefed on “accomplishment of the mission sent” as the C-in-C; leading to his blue law day proclamation. By Section 36 (8) of the existing 1999 Constitution of Nigeria, no person shall be held to be guilty of a criminal offence on account of any act or omission, that did not at the time it took place, constitute such an offence, and no penalty shall be imposed for any criminal offence heavier than the penalty in force at the time the offence was committed. That is to say that the Nigerian Army acting on the order of its C-in-C and COAS, supervised and carried out a massacre operation on 12th, 13th and 14th September 2017 and got its same C-in-C to label through a blue law day proclamation the victims and their group as “a terror organization”.